British writer Greg Lansdowne has written a new book called Living a Fan’s Adventure Tale: a-ha in the Eyes of the Beholders, which aims to describe how a-ha’s music has made an impact on fans around the world. The 128-page book will be published by Wymer on 4 March 2016, and can be pre-ordered from Amazon.co.uk, Amazon.de and Amazon.com. 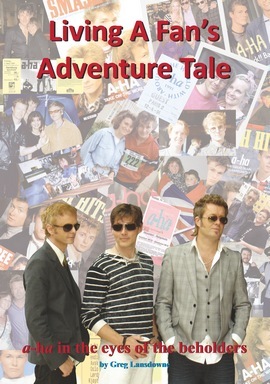 More details about Living a Fan’s Adventure Tale and the process of writing the book can be found in an article written by Lansdowne on a-ha.com. 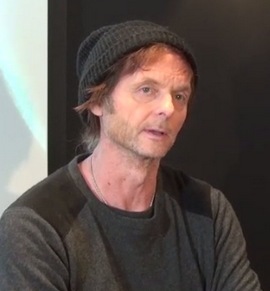 According to Lansdowne, a-ha collaborators such as Leif Johansen, Ian Wherry, Jørun Bøgeberg, Per Lindvall and Frode Unneland have all contributed to the book. 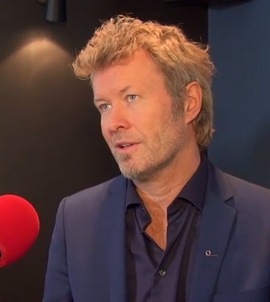 One of the reporters who interviewed a-ha at the press conference in Bergen last week was Ørjan Nilsson from Bergensavisen (BA). Below are a few translated quotes from that interview. The original video can be seen at ba.no. 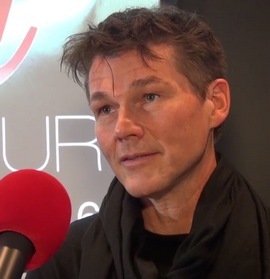 BA: Morten, you’re the one who’s been closest to the a-ha material during the last five years, as you played a selection of a-ha songs on your solo tour in 2012. What’s the biggest difference between playing a-ha songs with Paul and Magne and playing without them? Morten: I might be tempted to say something funny here (laughs). No, but playing without them will never be a-ha for me, or anyone else. If I’m backed by another band on stage, that’s not a-ha. Not today and not tomorrow. That’s just how it is. At the same time, a-ha is a big part of my identity, so it isn’t necessarily wrong to play those songs [at solo concerts]. In certain settings it could be the right thing to do. When I was planning my first solo tour [after a-ha split up] in 2012, there was a lot of pressure from promoters who wanted me to play a-ha songs, as they felt that the audience would expect that. I disagreed with them, as we had already toured a lot with a-ha [in the years prior]. It’s not like the fans don’t want to hear the a-ha songs, but when I go on a solo tour they’re coming to hear my solo material. So that was a difficult decision to make, because it’s not wrong to play the songs per se, they are important songs to me. At the same time, there needs to be a solid identity to what you’re doing. So I let go of that on the next tour, with the Brother album, and that is the right thing to do. But exceptions may occur. There may be situations where it feels appropriate [to do a-ha songs]. 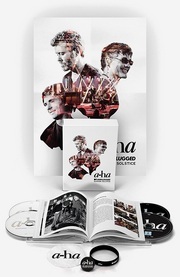 BA: 2015 is quite an anniversary year for a-ha, in connection with Hunting High and Low and “Take On Me”. But you have also released new deluxe editions of Memorial Beach and East Of The Sun, West Of The Moon. What’s it been like to revisit that material, which fans don’t get to hear too often at concerts? Magne: Well, I wouldn’t say that it’s something we have released, it’s rather Warner Brothers who have chosen to put together these reissues. But there aren’t too many albums that get such a treatment, so I’d have to say that I’m proud that they’re celebrating material that we did 30 years ago. And they’re not doing this just to be nice, it’s because they see that there’s still a lot of love for the band, around the world. 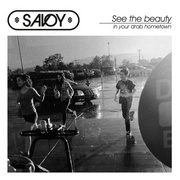 And of course a lot of demos and unreleased material has been added. For each new reissue, increasingly more obscure things are uncovered. I can imagine the 50th anniversary, when we begin to search the very bottom of our drawers for unreleased stuff (laughs). But it’s definitely an honour for us. 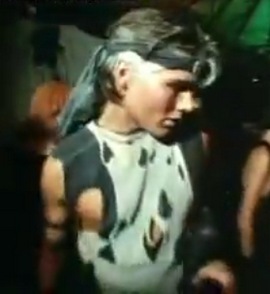 Morten: That is a dilemma for us as a band, though. I think all three of us would like to play other songs than just the most well-known. At the same time, people are going to a concert with certain expectations, and it would be wrong not to cater to that. But we would gladly have done a tour where we only play the more “hidden” songs. That would have been an exciting tour. Paul: We have done deluxe editions before, and now we’re even releasing super deluxe editions (laughs). But I actually think it’s very cool, because a lot of those old demos, even if they aren’t that fancy, they contain the very core of a-ha – often more so than the finished versions. BA: It’s been 28 years since your first concert in Bergen, at Bergenshallen on 1 February 1987. What do you remember from back then? 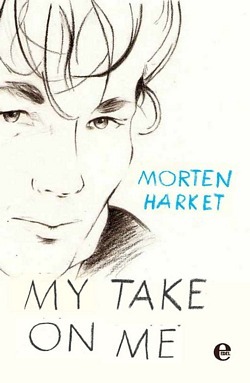 Morten: I’m drawing a complete blank here. Magne: I can’t say that I remember much details. Paul: I remember playing tennis before the concert. Paul: Yeah, I actually do (laughs). Magne: So that was apparently the highlight for you – nailing that serve (laughs). They were joined by their usual backing band; Karl Oluf Wennerberg on drums, Even Ormestad on bass and Erik Ljunggren on keyboard. On “Take On Me” they were joined by Kyrre Gørvell-Dahll (aka Kygo) from Bergen, who did a tropical house remix of the song earlier in 2015. This year the concert was streamed live on YouTube for the first time. But if you missed it, the concert can be viewed again at nrk.no – and through the official YouTube videos linked above. “Well, it doesn’t seem to get easier, and everyone gets hopeless. But I think it’s really hopeful to see that the prize is given to someone who show the importance of dialogue in a time when dialogue often breaks down. So I’m very happy to be behind the Nobel Institute on this year’s award”, Magne said. The whole press conference is available at vgtv.no. 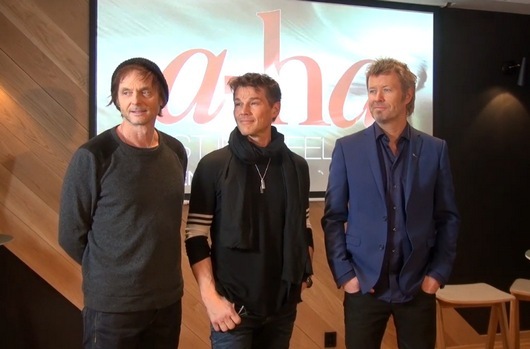 a-ha were also interviewed live on NRK1’s evening news Dagsrevyen before the concert. The interview can be seen at nrk.no. 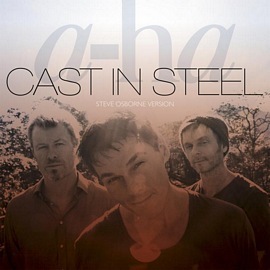 In other news, the new Steve Osborne Version of “Cast In Steel” was released digitally in Norway today. 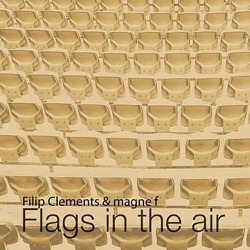 This is a more upbeat and radio-friendly mix, with added synth and guitar parts, quite different from the album version. Here’s an official link to buy/stream the song. a-ha were in Bergen today, to announce the final concert of the Cast In Steel Tour, which will be held at the 22,000-capacity outdoor venue Koengen on 7 May 2016. They will also do a concert in Stavanger on 6 May 2016, at the 4,500-capacity indoor arena DNB Arena. Update (9 Dec.): Due to high demand, an extra concert has been added in Stavanger on 5 May. “Bergen is an important city where we’ve always had a good time, so this time we decided to end the tour here”, Magne said. “We won’t have the opportunity to tour Norway more extensively this time around, but what we’ve been able to do is extend the tour by one week. Initially we booked the two nights at Oslo Spektrum and now we’ve added these two shows. But beyond that our schedules won’t allow us to add any more”, Morten added. A video of the Bergen press conference + an interview with the guys can be seen at ba.no. There is also another press conference/interview video at bt.no and a radio interview at nrk.no. Following the Bergen press conference, the guys headed for Stavanger to meet the local media there as well. A video from their visit at the DNB Arena this afternoon can be seen at aftenbladet.no. The fan presale started earlier today. Ticket prices in Bergen are 685 kroner (£52) for standing tickets and 1250 kr (£95) for golden circle tickets. Stavanger will be all-seated, with ticket prices ranging between 680 kr (£52) to 1540 kr (£118). Tickets for all three concerts go on general sale on Thursday, 10 December at 9am CET through Billettservice. 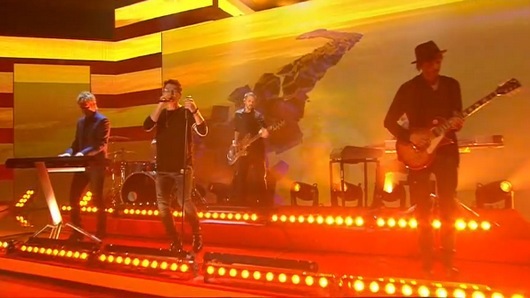 a-ha did a playback performance of “Living at the End of the World” at the ‘Ein Herz für Kinder’ charity gala on ZDF yesterday. The show was held in a hangar at the former Tempelhof airport in Berlin and nearly 19 million Euros were raised. The performance can be seen on YouTube. a-ha will be in Germany to perform at the charity gala “Ein Herz für Kinder” this Saturday, 5 December. This was announced in a press release today. The TV-show will be broadcast live from Berlin at 20:15 CET on ZDF. Other artists scheduled to perform include Sarah Connor and Peter Maffay. “Ein Herz für Kinder” is a charity organization that runs projects for children both in Germany and abroad. 16 million Euros were raised at last year’s charity gala.